Wherever you live in the world, evening is that time when a lot of people move from their daytime work routines into their evening fun times. And a little Hold’em is a great way to switch gears. 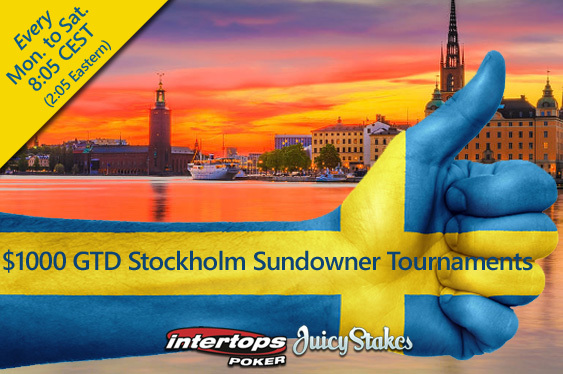 So Intertops Poker and Juicy Stakes Casino are adding a fourth Sundowner tournament to their popular $1000 GTD after-work tournaments. 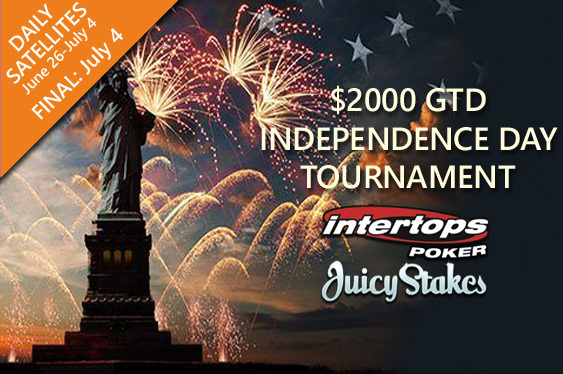 To help weary workers bounce back from a hard week, Intertops Poker and Juicy Stakes Casino have scheduled a $500 GTD Weekend Bounce tournament this weekend. There are three $0.55 qualifying satellites held earlier in the day and the Final ($9 buy-in) is Saturday night. After launching the first installment of its three-step Vegas Milli Maker satellite tournament series early last month, Intertops Poker and Juicy Stakes have announced that they will be reprising the lucrative competition from Wednesday. Intertops Poker and Juicy Stakes launched their three-step Vegas Milli Maker satellite tournament series on Wednesday offering players the chance to win a prize package to compete in the upcoming Millionaire Maker event at the 49th annual edition of the World Series Of Poker (WSOP) in Las Vegas. PokerStars launched its new Power Up online poker variant late last year and Bluff Europe is running a special competition that is set to reward aficionados with some limited-edition prizes.